Last week, over 3,000 vendors and 12,000 attendees descended on Las Vegas for this year’s ABC Kids Expo. The fall expo takes place annually, allowing vendors to show off their latest designs and inventions, while mingling amongst the other industry members. While there were tons of new products—many of which will show up here for testing—we wanted to highlight a few of them that stood out to us. These aren’t recommendations, just interesting products that may find their way into future guides. A collaboration from a new name and an old one, this baby monitor has a ton of features and the latest technology onboard. 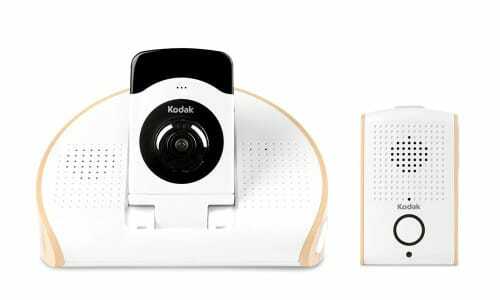 The Kodak Baby Monitoring System is internet-enabled, allowing you to view the monitor’s feed from your smartphone or tablet. It features: HD video quality, 100% digital privacy (a must-have in a modern, cloud-enabled baby monitor), 180-degree room view, built-in Wide Dynamic Range for automatic scene correction, 900 MHZ frequency (which won’t interfere with Wi-Fi), infrared night vision, night light and 2-way talkback. Another cool feature is the extremely portable USB camera, which is easy enough to put in your pocket for videos on the go. Through the companion app, you’ll be able to track your baby’s sleep patterns, create alarms, control nightlights and white noise, while of course, capture video or snapshots. It’s iOS and Android compatible, and should be in-store and online by the end of this year. The Double Stroller category has long been dominated by the likes of the Baby Jogger City Select (our current pick for best double stroller), and offerings from Phil and Ted’s and Britax. A new contender has arrived, and it’s definitely worth paying attention to. The Austlen Baby Entourage starts off as a single stroller, with a three-position expandable base. 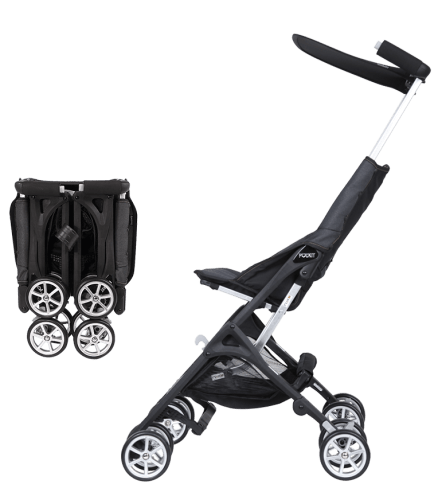 There are over 30 configurations to this stroller, fitting an infant, two infants, an infant and a toddler or two toddlers. 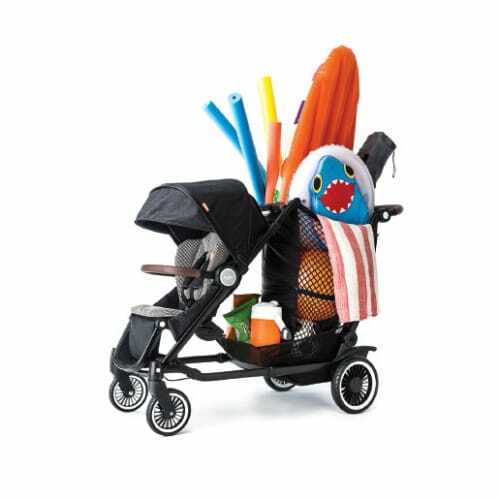 The total weight capacity of the stroller is an laudable 150 pounds! There are also a lot of luxury features, such as a leather-look handlebar for you and baby, an expandable market tote and a high-quality fit and finish comparable to much more expensive products. The stroller starts at $850, and can be outfitted with a second seat, a sit+stand, or car seat adapters. Look for this to hit shelves in February 2016. For those who travel a lot, or just need a lightweight folding stroller, the GB Baby Pockit Stroller isn’t just compact—it has the smallest folded dimensions of any stroller. It folds in a few easy steps to 12” x 14” x 7” and weighs only 9 pounds. This fits underneath airplane seats or in the overhead compartment. If you were wondering if there’s a smaller folding stroller on the market, let me clarify, the Pockit is the current Guinness World Record holder for smallest folding stroller. 4moms, makers of the Origami power-folding stroller and the Mamaroo, have come up with a super-smart concept for a high chair. The two things that they wanted to improve most on a high chair were the tray and the clean-up. So the team at 4moms made the tray magnetic. Easy to put on, securing itself on both sides, and able to pull off with one hand for the parent. They took it a step further, and introduced baby plates, bowls and utensils that also have magnets, so that they stick to the tray. Clever! For clean up, the chair was designed without nooks or crevices and without any fabric elements, making the chair wipeable and easy to clean in the sink. The straps can also be machine-washed for when life gets messy. The chair will be priced at $300, in-line with many other high-end high chairs, and hit stores in early 2016. Bill ed as the “thermonitor,” this new product measures your baby’s temperature every four seconds. It uses Bluetooth and a smart patch placed underneath your baby’s arm to detect the temperature without waking your baby. When a fever hits, your smartphone is alerted and the information is then stored, for use when consulting your pediatrician. Look for this online and in-stores soon, carrying a $70 price tag.